Tell Governor Jindal To Grant Public Access To All State Records Related To The BP Gulf Oil Disaster; Tell Him To Sign House Bill 37! House Bill 37 would grant public access to all state records related to the BP Gulf oil disaster. We have demanded transparency from BP and it is equally vital that we have transparency from our federal, state and local governments as well. The Louisiana Legislature agrees, now it is just up to Governor Jindal to sign into law. Please call Governor Jindal's Office and tell him to sign HB 37! Shot by Robert M. Young and Edward James Olmos on a trip to the heart of the oil spill in the Gulf. Edited by Stephen Cohen. After about a month of pressure from the public and interested parties like LEAN and LMRK, the chemical constituents of the dispersant COREXIT has been released to the general public. We will be sending out a follow-up alert from our chemist Wilma Subra on what health concerns these chemicals hold for those exposed to them and the environment in which they are being released. 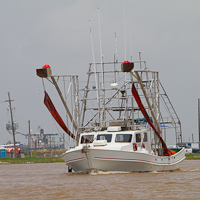 Louisiana Environmental Action Network (LEAN) and the Lower Mississippi Riverkeeper (LMRK) have been working to protect the health of the fishermen who are working to address the crude oil disaster in the Gulf of Mexico and the estuaries and wetlands in the coastal areas. We held the first four volunteer field observer trainings this past week and now have 137 volunteers out on the water acting as the eyes and ears for our coast. We know you join the COAST team in thanking these volunteers who are giving their time and energy to protecting our shoreline. We are taking next week to regroup and reassess the Volunteer Field Observer Program in the wake of oil impacts on Alabama shores but do anticipate holding additional trainings beginning the week of June 14th. We will keep you posted about dates and times.